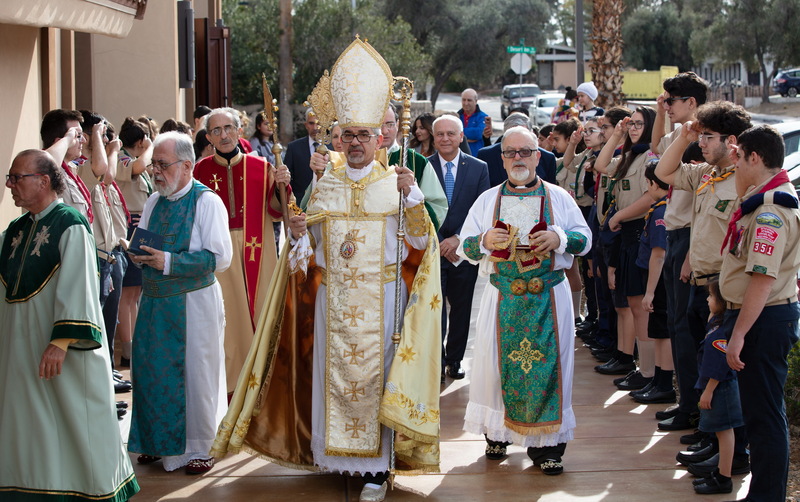 On the occasion of the feast of St. John the Forerunner and name day of St. Garabed Church of Las Vegas, the Church Parish Council, for the first time, organized a two-day celebration it called “Herissa Day,” bringing together the community to collectively mark the occasion and honor our traditions and heritage. H.E. 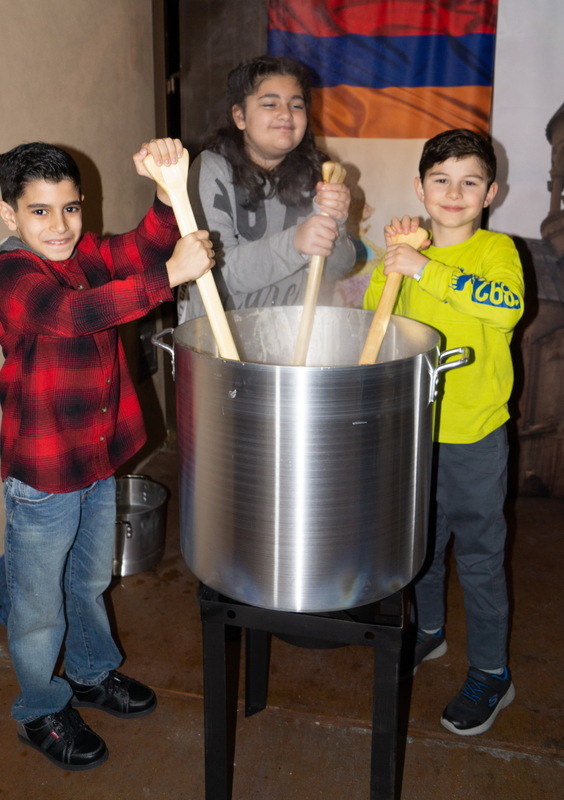 Archbishop Moushegh Mardirossian, Prelate, presided over the festivities which began on Saturday, January 19, 2019 with the preparation of herissa and dinner, and continued on Sunday with Episcopal Divine Liturgy, blessing of the madagh, and luncheon. 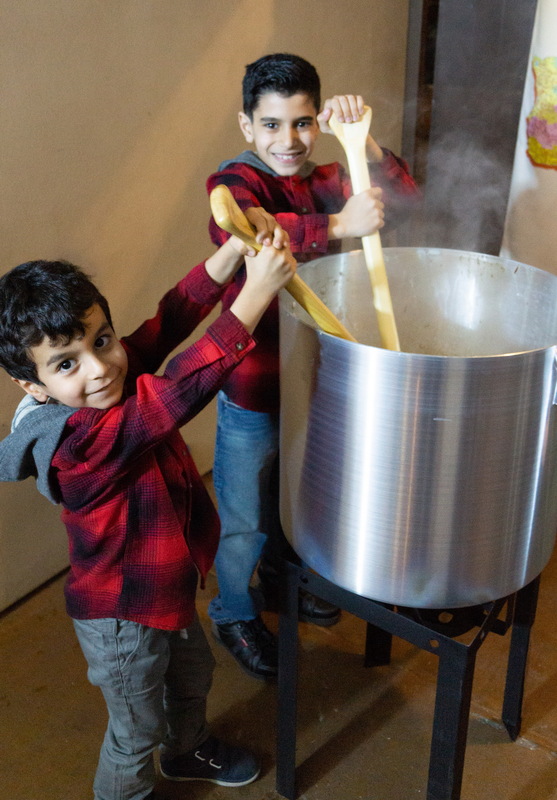 The parish Ladies Guild began preparing the herissa on Saturday afternoon and in the evening the Prelate kicked off the lengthy process of churning the herissa, joined by those named Garabed and Hovhannes and all who wished to participate in the age-old tradition. Dinner followed at “Koujakian” Hall. 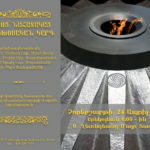 His Eminence delivered the invocation, after which guests enjoyed a meal prepared by the Ladies Guild and entertainment by Nshan Jaghasbanian. 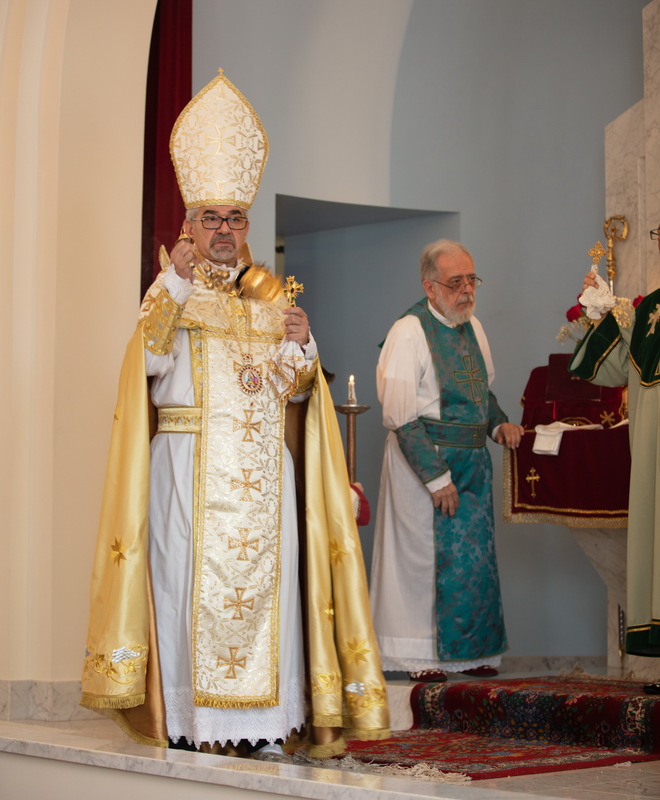 On behalf of the Parish Council, Hagop Havanjian greeted the Prelate and guests, and then announced that the name day would hereafter be a pilgrimage day entitled “Herissa Festival.” Siroon Bedirian gave a brief overview of the feast day as well as the history of St. Garabed Monastery of Mush and the tradition of the herissa. Parish Pastor Archpriest Fr. 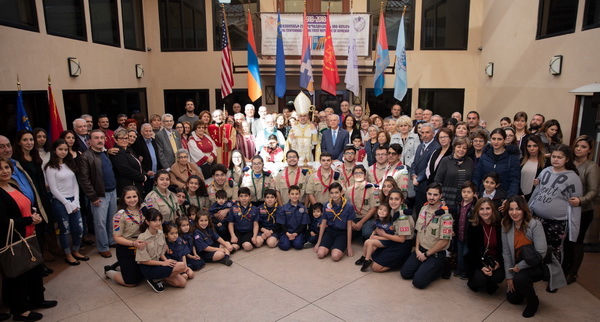 Vahan Gosdanian thanked the Prelate for his presence and welcomed the initiative of the herissa festival, wishing for the community to prosper with the revival of our traditions. 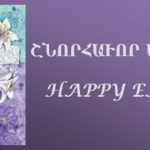 In his address to the faithful, the Prelate emphasized that the name day celebration is not only a pilgrimage day but also an invitation for renewal and strengthening of faith and a reminder to serve together with humility, devotion, and respect with a spirit of goodness. 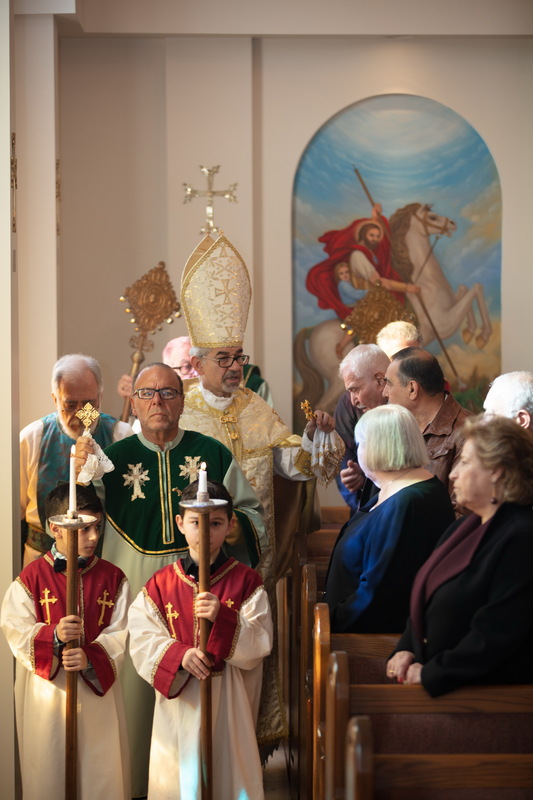 On Sunday morning, His Eminence celebrated Divine Liturgy at St. Garabed Church. Homenetmen “Artsakh” chapter scouts participated in the Prelate’s procession into the church. The Parish Pastor and Archpriest Fr. 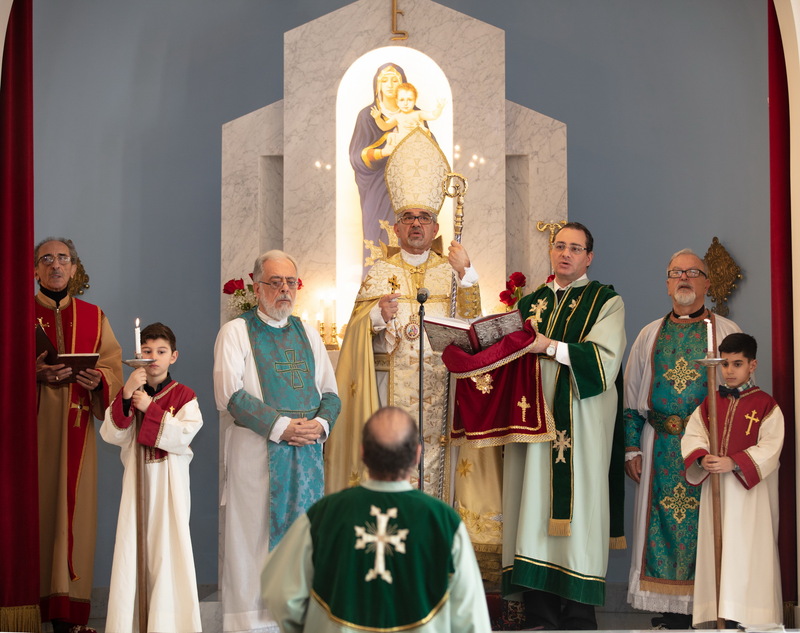 Avedis Torossian assisted at the altar. 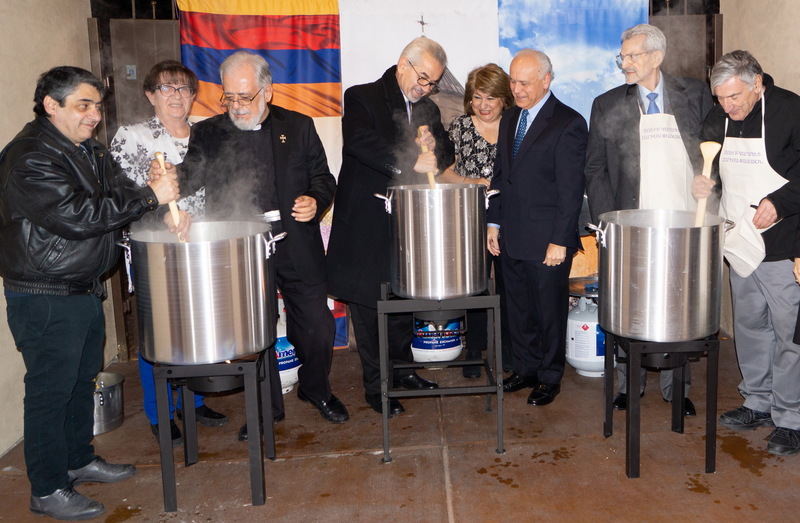 Among the faithful in attendance were Honorary Consul Adroushan Armenian and representatives of the ARF “Ishkhan” Gomide and ARS “Shushi” chapter. 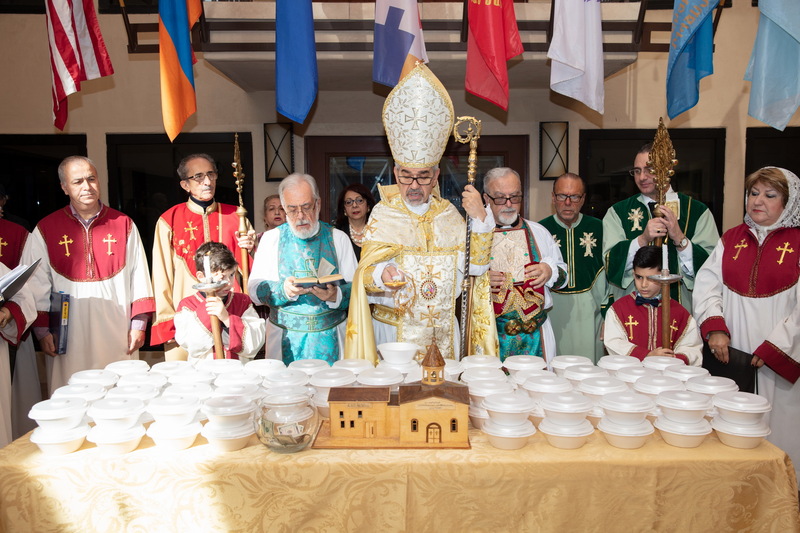 The Prelate began his sermon by expressing thanks to the Lord for the opportunity to collectively celebrate the Church name day in a traditional manner for the first time. 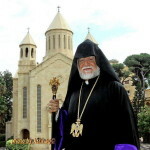 He briefly touched on historic St. Garabed Monastery in Mush, noting that St. Gregory the Illuminator had advised the locals to build a monastery in which he placed the relics of St. John the Baptist and dedicated it to St. John the Forerunner, for centuries a hallowed pilgrimage site for Armenians. Next, His Eminence spoke of St. John the Forerunner, who was the last and greatest of the prophets, a God-given gift to his elderly parents Zacharias and Elizabeth, one who would “be great in the sight of the Lord…filled with the Holy Spirit… make ready a people prepared for the Lord.” St. John the Baptist preached for many years in the desert proclaiming a baptism of repentance for the forgiveness of sins, seeking to transform the people by the grace of God, said the Prelate, and when the time had come, he led his disciples to Jesus, the Messiah, the Lamb of God, saying, “I indeed baptize you with water unto repentance…He will baptize you with the Holy Spirit and fire.” His Eminence drew attention to St. John’s humility, noting that though he was the greatest of the prophets, he deflected attention from himself and directed the people to Jesus. 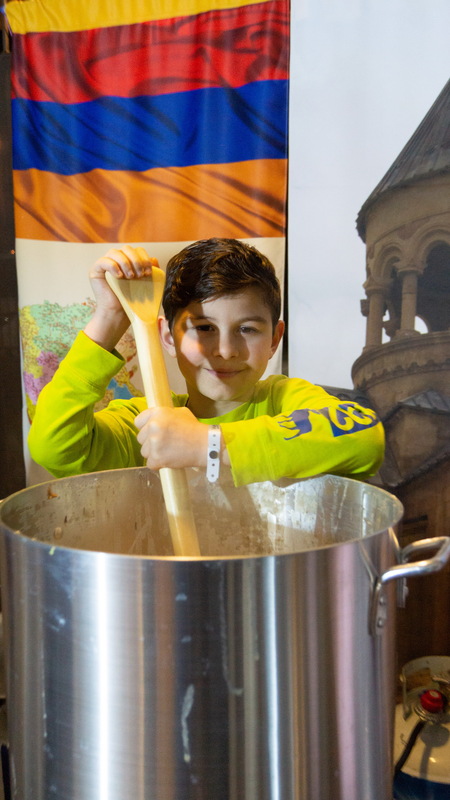 “We too, clergy and laity alike, are called to be like the prophets and disciples. First, we must prepare ourselves by studying God’s Word and the teachings of our Church. 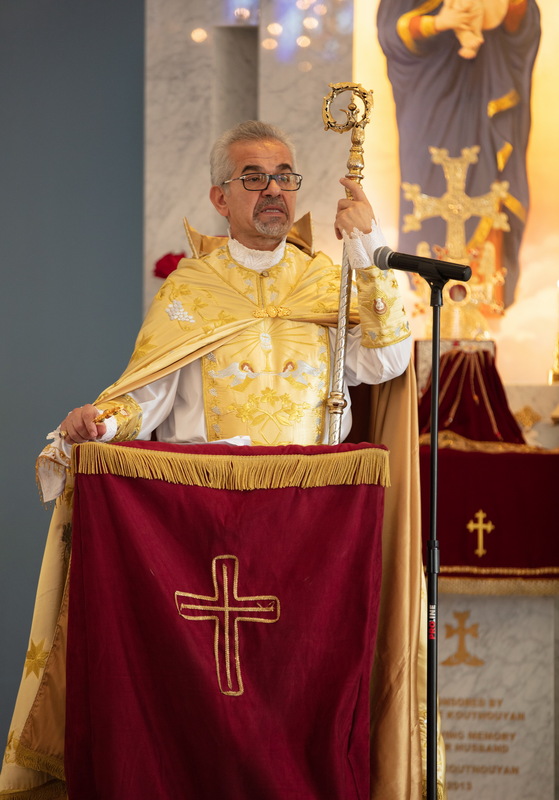 Then, we must point others toward our Lord Jesus Christ and be witnesses to His Light so that others might believe through us,” said the Prelate. His Eminence next spoke of the day’s Gospel reading, Jesus’ first miracle of turning water into wine, and highlighted three important messages: (1) to take our troubles to the Lord and turn to Him in all circumstances; (2) to trust in His ways and in His timing, seeking that His will be done in all things; (3) to believe that when the Lord does provide, He will give us more than we could have imagined. “Jesus is still working miracles today. He is with us at all times, ready to take on our burdens and worries, ready to renew and transform us into new creations, if only we display a mustard seed of faith, seeking Him and trusting in Him in all circumstances,” said the Prelate, and concluded by calling for renewed faith and drive in our service to our Church and nation inspired by the faithfulness and humility of St. John the Baptist. During requiem service, prayers were offered for departed Church benefactors, sponsors, and servants. 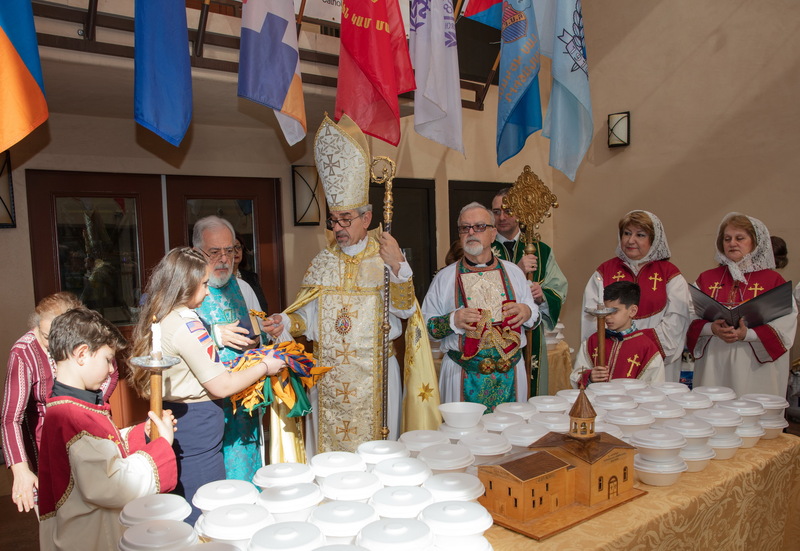 At the conclusion of the service, the Prelate conducted the inaugural blessing of madagh in the Church courtyard and also blessed the neckerchiefs of 12 new Homenetmen scouts, which they received following the oath ceremony. 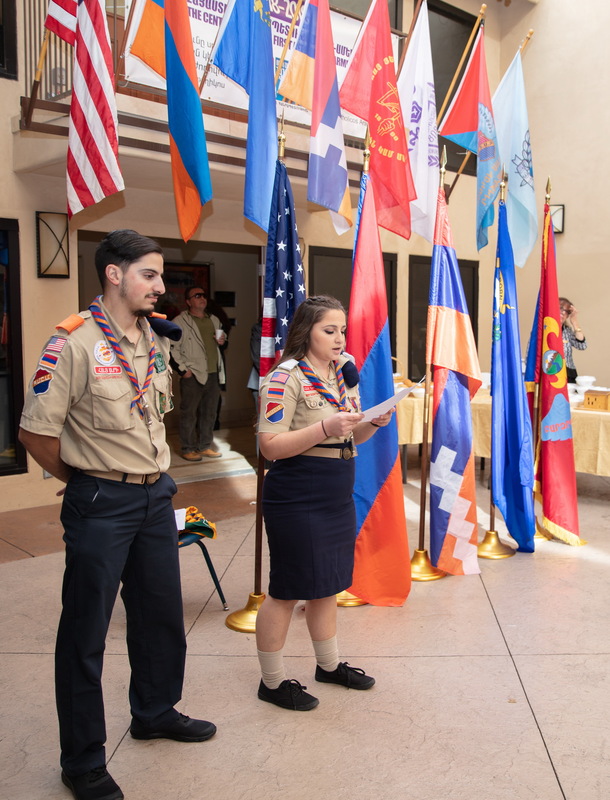 His Eminence blessed the scouts and urged them to serve God, our church, and our nation honorably. 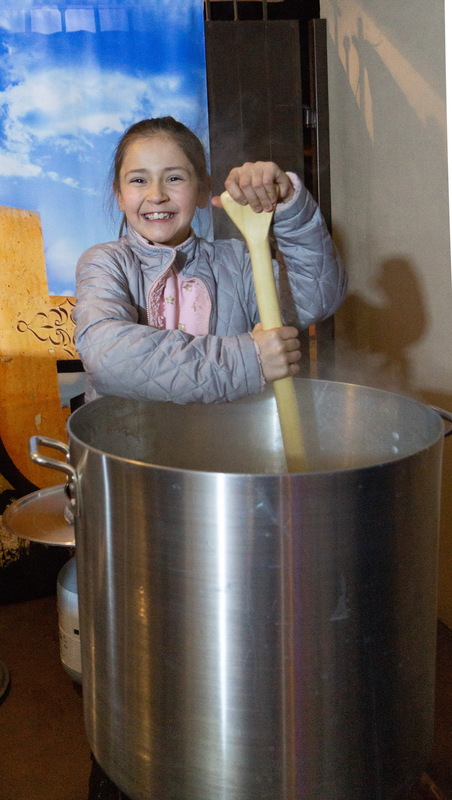 The blessed herissa was served at the ensuing luncheon at “Koujakian” Hall. Parish Council Chairman Yeghia Yeghiayan greeted the Prelate and guests, and invited His Eminence and Fr. 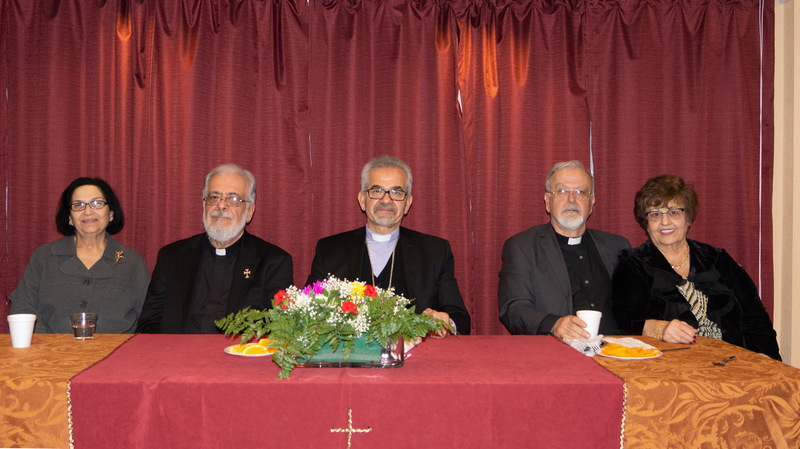 Vahan to present plaques to four church servants as commendation for their service. 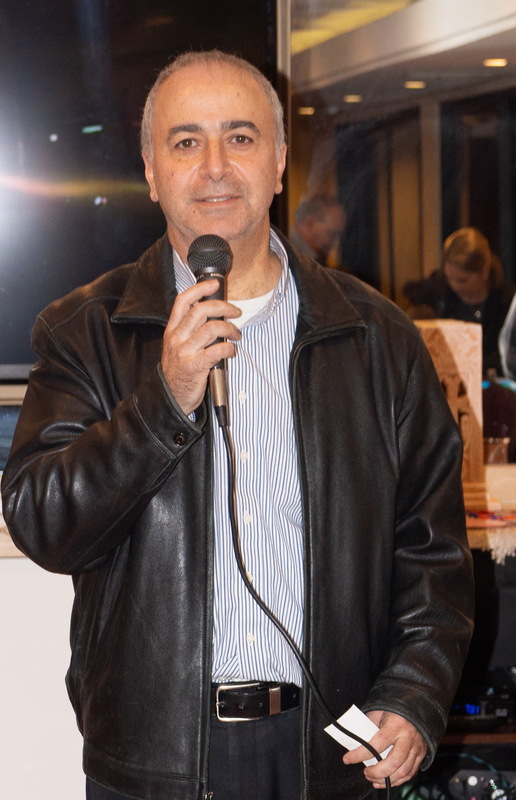 The honorees were Deacon Tom Gerjikian, Raffi Demirjian, Hrant Hevoian, and Haig Derderian. Fr. 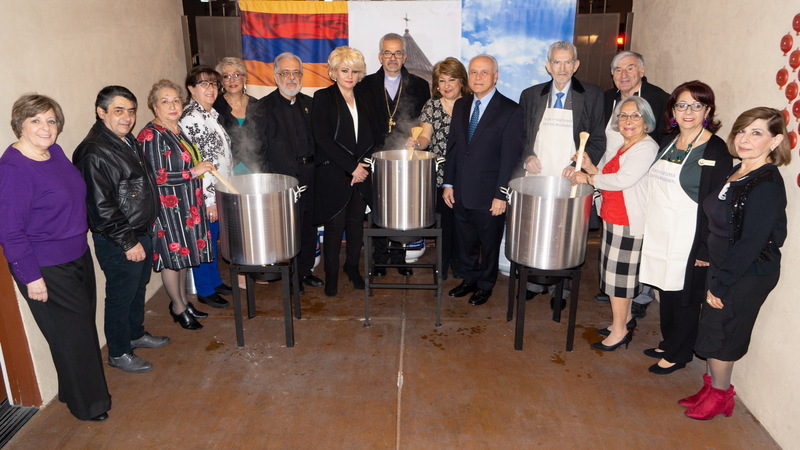 Vahan thanked the Prelate for presiding over the two-day celebration, commended the Ladies Guild for their hard work as well as all those who contributed to the success of the weekend’s events. 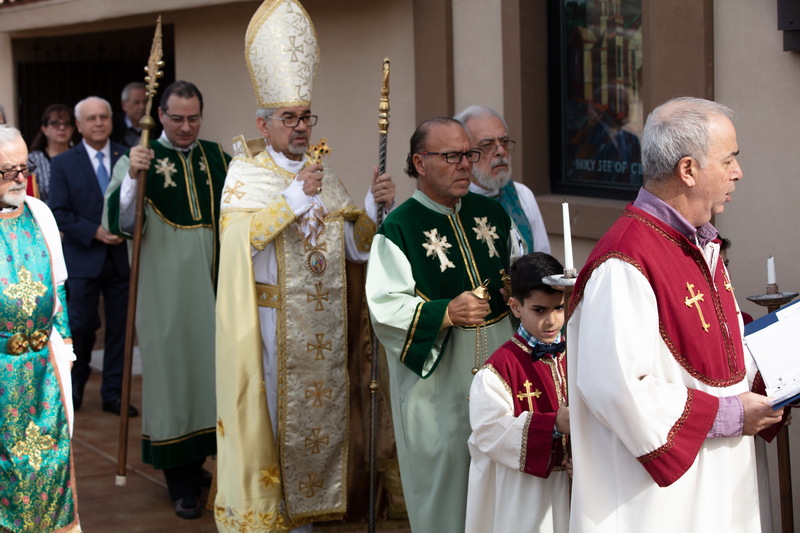 The Prelate began his message by once again highlighting the significance and message of the name day observance and commending the church members, sponsors, and faithful who together contribute to the advancement of the parish. 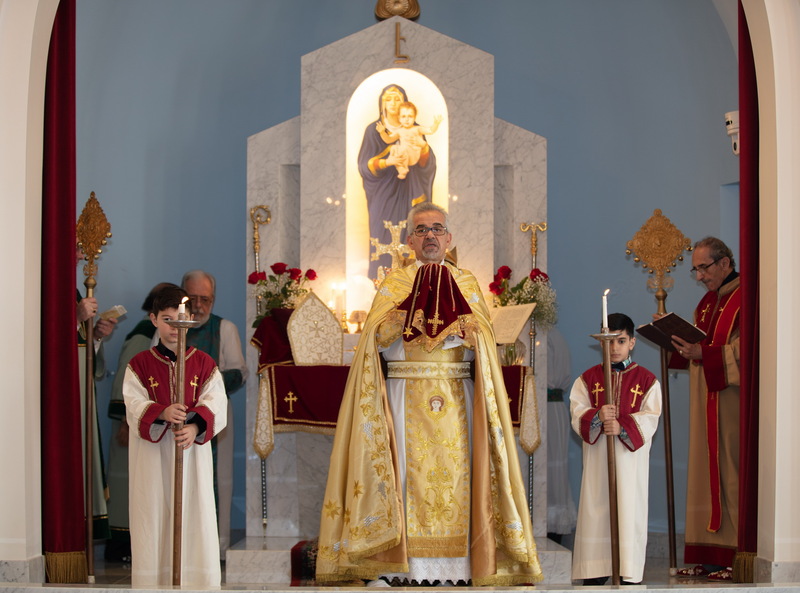 His Eminence announced that $30,000 of a recent $100,000 donation by Prelacy sponsor Anahid Baghdadlian-Ohanesian is being allocated to Prelacy Churches; thus, St. Garabed would be receiving $3,000 from the aforementioned donation. He concluded by calling for united efforts to further the parish community. 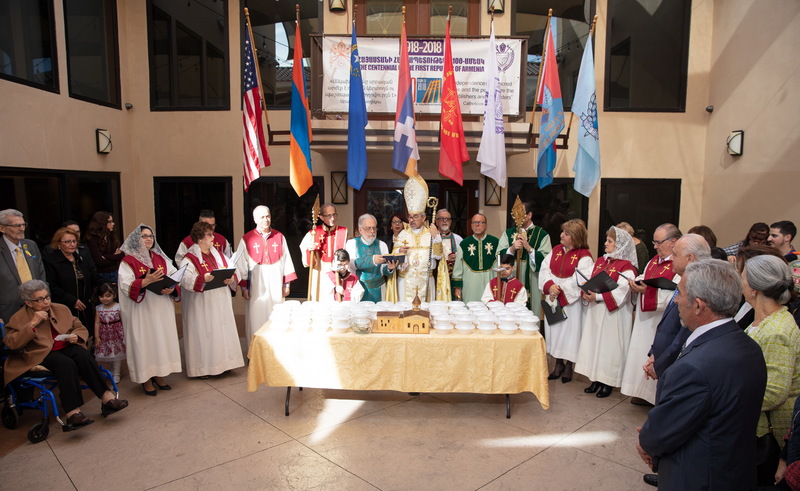 Following the benediction, the celebration closed with the singing of “Cilicia” and the Armenian national anthem. During his visit, the Prelate also had the opportunity to meet with the Pastor and Parish Council to discuss issues relating to the parish community.